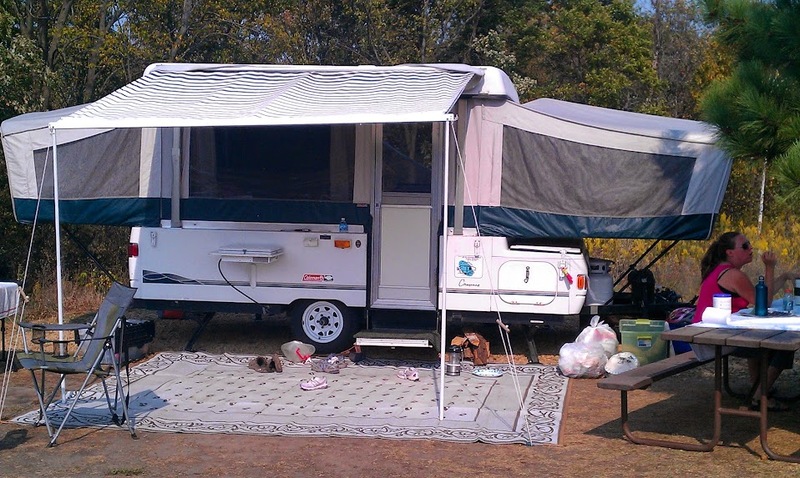 I have been a fan of Coleman Popup Campers ever since I borrowed one to take my newborn and family out camping. I didn't have the means to own a nice camper but loved the experience that it allowed us. That made me search out a used popup camper. A popup is easy enough to camp that you can bring a newborn, but cheap enough to afford to own and store. I had previously borrowed a Coleman Popup and knew about that one. After looking around on craigslist I found the Coleman brand of Popup Campers had what I was looking for. Since I had a modest budget I bought a camper with a lot of problems.Some things didn't work. Mouse damage and just old age. We camped the last month of the season with duct tape over the holes and a few features that just didn't work. That winter (I live in Minnesota, so there is no popup camping during the winter) I tore into the repairs. I was just a newbie and had no clue on what I was doing. I'm guessing just like you if you are reading this page. They are not hard! You just have to have patience and willingness. Mouse damage in tenting and vinyl tops.